Are you a jet set globetrotter or corporate road warrior? Sign up for a travel rewards credit card to earn points that you can redeem for airfare, hotels, or more. Depending on your needs, you may want to focus on cards with higher signup bonuses to jump start your account, or you may want to look at cards that have extra bonuses for particular spending categories like travel, dining, or office supplies. Most importantly, you want to select the cards with perks that align with your preferences and interests. 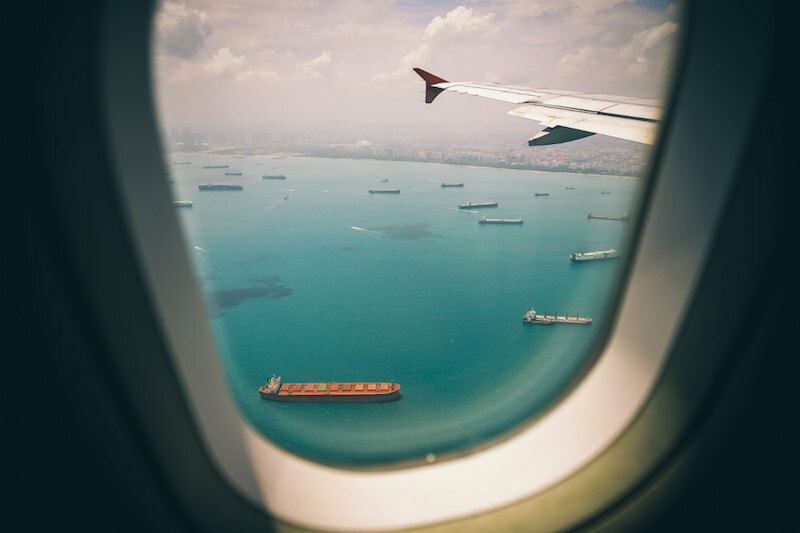 Do look out for fees though - pay special attention to how much the best travel card for you charges as an annual fee, as well as whether or not there's a foreign exchange fee which may put a damper on your international trips. These travel rewards credit cards generally require a solid credit score though, so if you don't have credit or are just getting started building your credit history, you may want to take a look at student credit cards instead. Your Credit Score IsGet your free credit score! (waived for the first year) 1 point per dollar, 2X points on travel and dining at restaurants worldwide. Earn 50,000 bonus points after you spend $4,000 on purchases in the first 3 months from account opening, worth $625 towards travel when redeemed through Chase Ultimate Rewards. Earn 5,000 bonus points after you add the first authorized user and make a purchase in the first 3 months from account opening. (waived for the first year) Get up to 5 Starpoints for each dollar of eligible purchases at participating SPG® hotels, Earn 2 Starpoints for each dollar of eligible purchases at Marriott Rewards® hotels, Get 1 Starpoint for all other purchases Get 25,000 Bonus Starpoints® after you use your new Card to make $5,000 in purchases within the first 3 months. UNLIMITED 1.5x Miles on every dollar you spend on purchases 50,000 Miles could turn into 100,000 Miles with Discover Match®. We'll automatically match all the Miles you earned at the end of your first year. Only for new cardmembers. (waived for the first year) Earn 2 Miles per dollar spent on purchases made directly with Delta. Earn 1 mile on every eligible dollar spent on purchases. Earn 30,000 bonus miles after you make $1,000 in purchases on your new Card within your first 3 months. Do you dream of sitting on the beach in Tahiti sipping on pina coladas? Does your perfect day include a stop at an exotic shop in a faraway country like Nepal, Thailand, or Morocco? Perhaps you prefer the cosmopolitan atmosphere of London, Paris, or Tokyo? Wherever you dream of going, the best travel credit cards can take you there. Picking the best travel credit card for your needs is not always easy. The following guide will help you narrow down our best credit cards for travel to pick the best travel card for your needs. With the best credit card for travel, you’ll be on your way to your next beach, mountain, or exotic foreign city before you know it, and at a fraction of the cost of paying full price out-of-pocket. Travel rewards credit cards come in two main categories. First are cards that are specific to an airline or hotel. Using that card earns you points specifically for that brand, and big spending can lead to higher status levels and other perks when you travel with that brand. Examples include the British Airways Signature Visa from Chase and the Delta Skymiles card from American Express. In addition to cards that earn for a specific brand, there are also general travel rewards cards where you earn points for that specific issuer. Instead of earning points that you can use at only one airline or hotel, you can earn points that can be used to book through an award portal with no blackout dates, or you can transfer the points to a partner airline or hotel to book award reservations directly. Both rewards types have their own benefits and drawbacks. Earning miles and points specific to one brand limits you to only that brand for your rewards, but free upgrades and perks may make that worthwhile. On the other hand, cards that are not brand specific open up many more airlines and hotels and offer reward bookings with no restrictions, which also has a big value. It is up to you to decide if you prefer brand loyalty with perks or brand flexibility. Each traveler has different preferences, so pick the right travel credit cards to help you get to your next destination the way you want to get there. Some airline miles and hotel points offer a lot more flexibility than others. Airlines like Delta, United, American, and Alaska have reward partnerships that allow you to book travel rewards on other airlines. For example, using United Miles to book an award trip that includes travel on Lufthansa and Singapore Airlines thanks to their shared membership in the Star Alliance. Anyone with a big pile of Marriott or Starwood Hotels points can book through any of the Marriott or Starwood brands due to their recent merger. Partnerships are always changing, so look up the airlines and hotels you can access before choosing any specific card. Cards like the Chase Sapphire Preferred, Chase Sapphire Reserve, Starwood Preferred Guest, and the Platinum Card from American Express each offer more flexibility than most airline or hotel branded cards. Each of these opens up access to a wide list of transfer partners that can take you virtually anywhere in the world. For example, the Chase Sapphire cards earn Chase Ultimate Rewards points. Points can be used to book travel at participating airlines or hotels with no blackout dates taking advantage of a fixed value per point. You can also transfer to one of the Ultimate Rewards transfer partners including airline programs from Air France/KLM, British Airways, Korean Air, Singapore Airlines, Southwest, United, Virgin Atlantic and hotel programs at Hyatt, Marriott, Priority Club/InterContinental Hotels Group, and Ritz-Carlton. Next, looking at the airline partners, we see that points can be used widely. United is a member of the Star Alliance, British Airways is a member of the OneWorld Alliance which includes American Airlines, and Air France is a member of SkyTeam which includes Delta. Getting anywhere in America or beyond is an option with Chase points. You can put together similar connections using American Express Membership Reward points, Starpoints from the Starwood Preferred Guest program, and other cards from competing issuers. This strategy can help you find the best credit card for international travel for your specific travel plans and needs. While general points programs like Chase Ultimate Rewards and American Express Membership Rewards give you the most flexible rewards, some of the best rewards do come from loyalty to one specific airline or hotel brand. For example, the Marriott Rewards card from Chase gives every cardholder 15 credits towards status and gives automatic Silver level status guaranteed. For every $3,000 you spend on the card, get an addition credit towards Gold or Platinum status. Each status level has its own perks including upgrades, late check-out, free wireless internet, and more. Airline specific cards often include perks like priority boarding, free checked bags, and credit towards airline status for free upgrades. Travel rewards credit cards can offer a wide range of bonuses. Some airline and general points earning vacation credit cards include access to airline lounges. This perk makes air travel much more comfortable, particularly if your travel regularly includes layovers and waits at large airports. The highest end airline specific cards sometimes include access to that airline’s lounges in airports around the world. 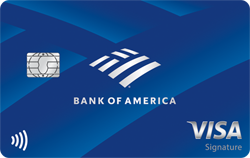 Examples include the American Airlines Executive card from Citi and the United MileagePlus Club Card from Chase. Both cards come with a big annual fee, but also open the doors to American and United lounges, and partner lounges in some cases, around the globe. Most lounges include free beer and wine options, plenty of outlets, comfortable seating, newspapers and magazines, an exclusive customer service desk with the power to give you earlier flights and upgrades in some cases, cleaner bathrooms, TV news, snacks, sometimes meal service, wireless internet, and an escape from waiting for flights at crowded gates and dealing with the hustle bustle of airport terminals. Some cards, like the Chase Sapphire Reserve and the Platinum Card from American Express include memberships to lounge clubs or services to give you access to lounges without specific airline loyalty. While earning points and bonus points spending on your everyday purchases helps you build up a valuable stash of rewards miles and points, signup bonuses should also be taken into account. Some travel credit cards have no bonus at all, but the best travel rewards cards offer bonuses of up to 100,000 miles or points, sometimes worth thousands of dollars in free travel. Always compare the signup bonus to other cards when picking the perfect travel credit card for your needs. Most credit cards offer more perks than just miles and points. Others common benefits include car rental insurance coverage, travel insurance coverage, and travel medical insurance coverage. Many premium cards also have features to extend manufacturer warranties, replace some lost, stolen, or damaged items that were recently purchased, return protection, and price change protection. Consult the fine print for each card to better understand all the details - you might find it boring but it may just save you a ton of hassle and money down the road! The best travel rewards credit cards typically come with an annual fee. While some of the best travel credit cards do not have a fee, the best ones do. The fee may not always be worthwhile for your specific travel needs, but in many cases the cards offer much more than the cost. Look at the value of the rewards travel you receive compared to the cost. International flights can cost thousands of dollars. Getting that kind of value for a $95 annual fee is totally worth it. In some cases, the rewards are compelling enough to support cards with annual fees around $500 or $1,000. It is all about how you use the card to get the most value. Only by examining your own spending habits can you decide if an annual fee is worth the cost.